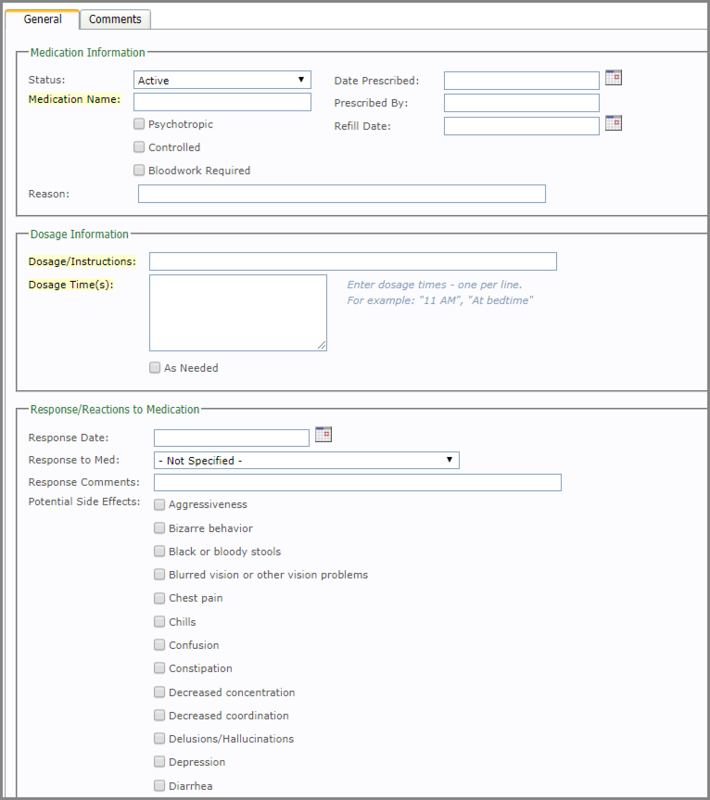 This article is meant to assist you with the Medications Tab. 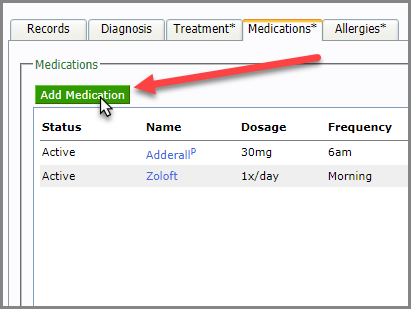 Click on the green “Add Medication” button to add medication to a case file. 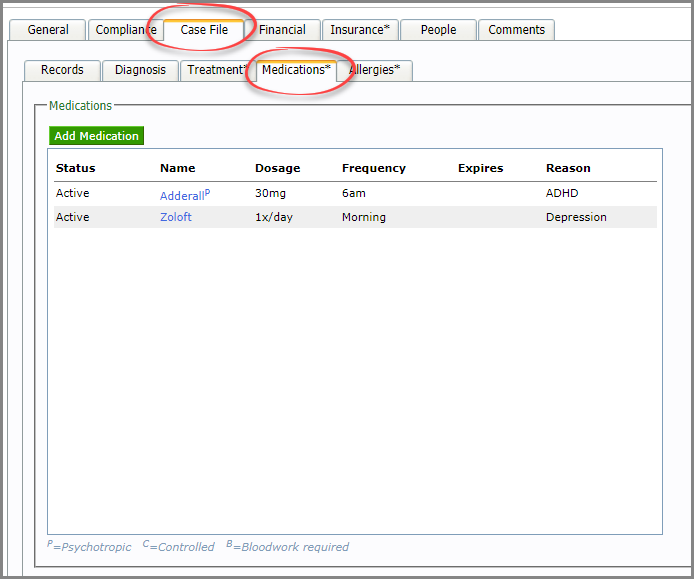 Be sure to save any new medications you add.